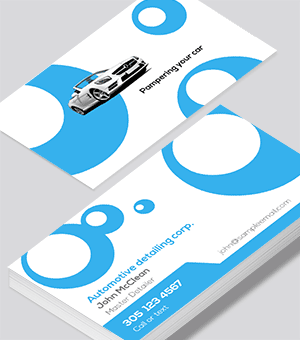 As an automotive mechanic, detailer or sales person, you need a business card that pops. We are highly skilled designers with a flair for design that sells. Let us know if you need assistance to create a one of a kind marketing piece for you. You take pride in your profession as a mechanic and repair expert. Especially designed for you in mind, the auto specialist that understands his craft. And, how can anybody resist the lure of the Lambo? 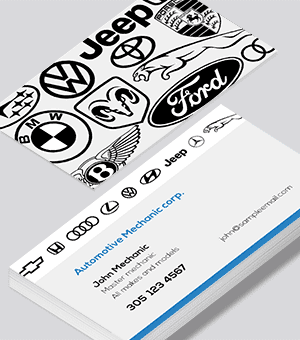 Every auto mechanic needs a great business card. Don’t forget the back of the card. We added a slogan, use it, or modify it to your needs. 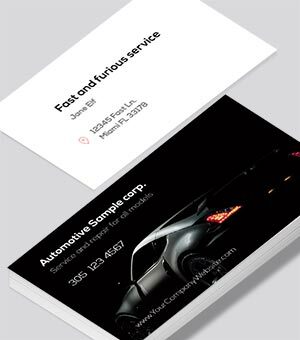 High contrasts make this business card design stand out. This is the calling card for your business. You want bland? Well, bland makes its way to the waste basket. As a car technician you want to stand out. Utilize the back for your address and slogan. Oh, and you can change the background from yellow to any of thousands of colors. In the online designer select the background then click the red dot on top to get access to all the color choices. You live for perfection as a tuner. You know automotive perfection like the back of your hand. 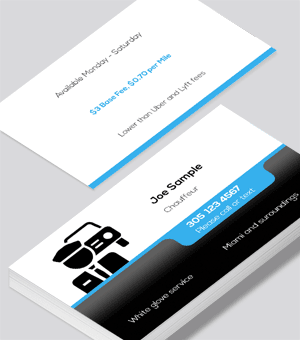 So why not have a business card to support you? We thought “Fast and furious” to be the appropriate slogan for the back of the card. But, you can modify it to your liking. Now, does that not sound familiar? No matter what car make you work on, you need to be an expert technician. 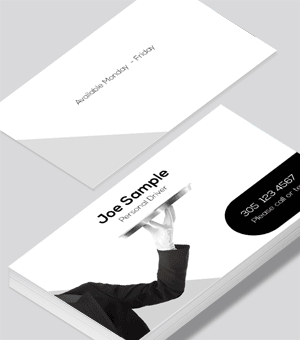 This clean modern looking business card design does you justice. 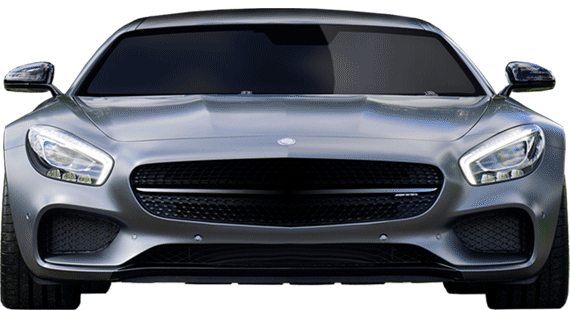 The image of the Mercedes may be resized, moved or replaced with your image. However, we carefully removed the background so you may position it over any background. 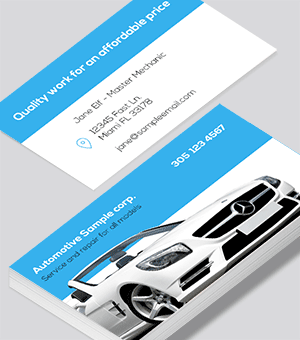 Enjoy a great image and be proud to hand out this business card! We took the original blue design and turned it into red. Feel free to fine tune (no pun intended) this design. Or simply fill in the pertinent fields like company name, address etc. As an expert technician you need the right basic marketing tools. As always, you can hire us if you need custom work. 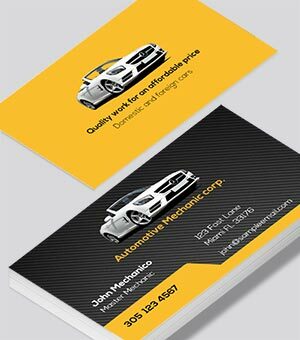 Striking color contrasts make this design a perfect match for the person in the automotive industry. Carbon is high-tech, red screams for attention and the car silhouette means business. White text against carbon and red? How can you go wrong? It’s beautiful. Take this free template and modify it to your needs. Modern car design looks edgy, dynamic and refined. Why should your image be stale? We included a free logo for this design, but you can easily upload your own. Red hues are a sure way to get attention. Your skillset is varied across most makes and models. Carefully curated car logos make this design memorable. Arrange all elements to your liking. Contrasting colors attract attention. Good design = more money. You can change the blue background to any color you prefer. As a technician make yourself memorable. 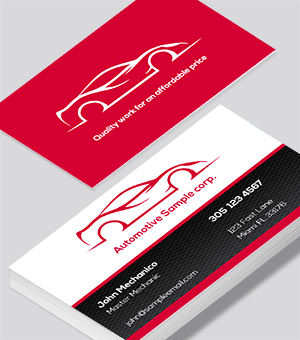 This design conveys the type of excellent driving service you offer. An excellent photo that speaks for you. A clean template for the private driver or chauffeur. Why not print your rates at the back of the card? Weaved carbon with striking colors? Looks great! Show you know your stuff in the automotive state of the art. 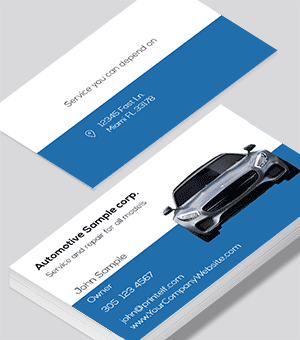 Whether you are a mechanic, or you deal in the industry in any capacity, this automotive business card design works for you. 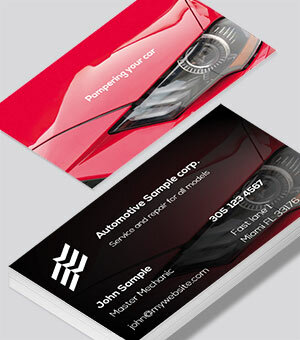 This automotive detailing business card is for the perfectionist with an eye for detail. 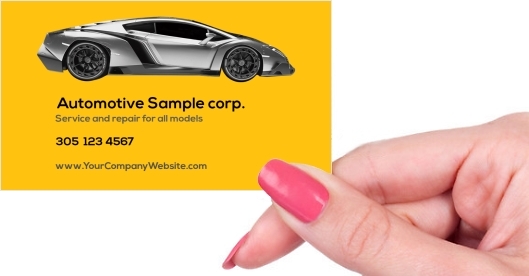 Get your business in high gear and step up to a clean-cut business card. 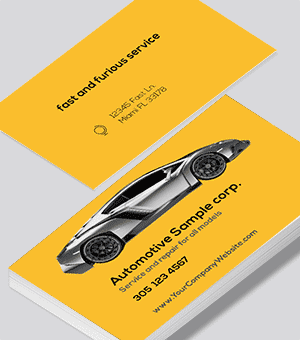 As you know, it’s all about looks and spending the money on excellent business cards is the first step in a successful endeavor. Business cards are a basic marketing tool no automotive professionsl can be without. It is also the least costly expense when doing business. The impact however is great. 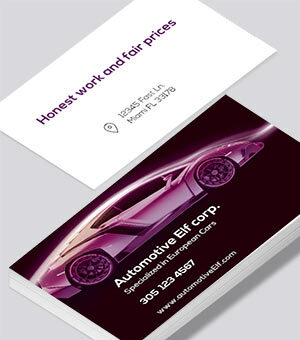 A flimsy badly designed automotive business card speaks volumes. Give it some love and you will reap the benefits. Not a automotive expert? We have a lot of free designs for you. All of them are designed by us and nowhere else available.